Many marketers focus on growing revenue and most companies will have sales or market share growth goals. In fact, there would only be a small proportion of organizations that do NOT target growth. 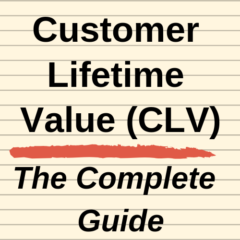 In the attempt to maximize customer lifetime value (CLV), increasing customer revenues will have a significant impact. Along with retention (customer lifetime period), increasing customer revenues will have the most significant impact on total CLV. The good news is that satisfied customers and even habitually loyal customers will increase their purchases over time. 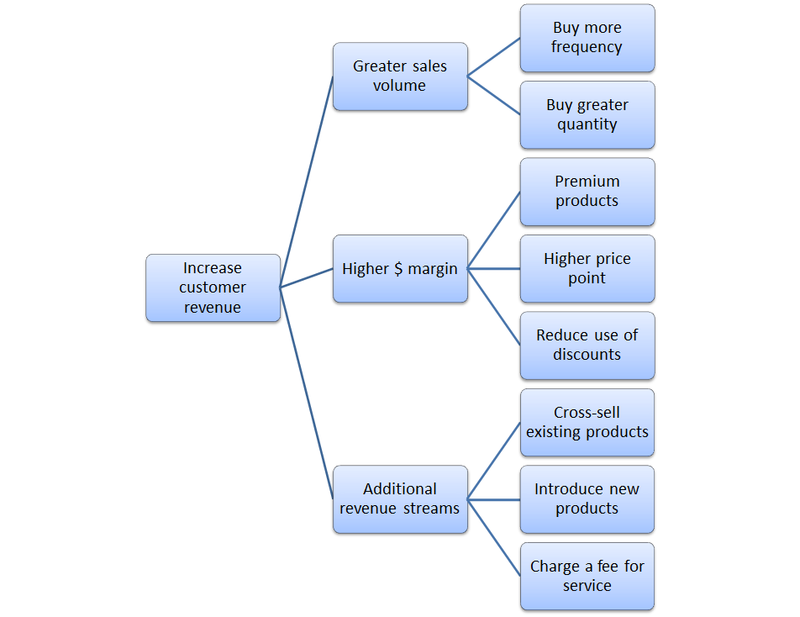 There is a separate article on this website as to why customer revenues will “naturally” grow. It is also worthwhile reading on the original academic literature in this regard. A significant danger in marketing practice is to pursue growth (increased customer revenue) without the necessary consideration of bottom-line profit or a marketing ROI. That’s where the customer lifetime value formula comes in – because it builds in both revenues and costs to objectively assess overall customer profit contribution. Without this metrics “check”, it becomes easy to fall into the trap of thinking that marketing is all about sales and market share growth – when the reality is that marketing is all about increasing profits for the brand. In other words, a marketer is a long-term profits maximizer, with customer revenue just being one of the tools available.